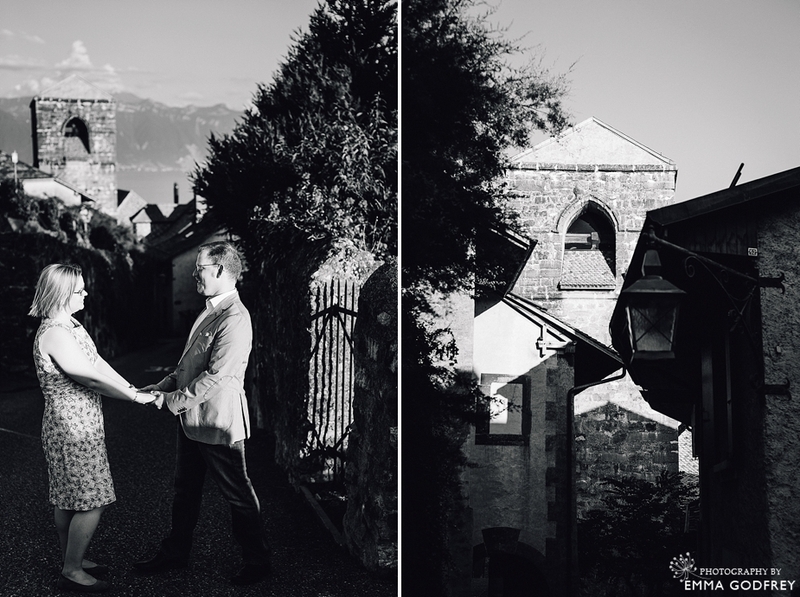 When Susan and Sebastian told me that their shared love was champagne I knew that we were going to shoot their summer e-session in one of my favourite Lavaux villages: Saint Saphorin. The views from the vineyards over Lake Geneva are among the best in the region and the town is full of charm and shady spots to escape the summer sun. Susan and Sebastian were so much fun to photograph as they fell easily into my style of natural, relaxed photography. Starting off hiding in the shade of the old buildings, we explored the tiny cobbled streets, finding spots of lovely light. Climbing up the many vertical streets we found some lake views and they coped amazingly well with scorching September sunshine, like real pros! 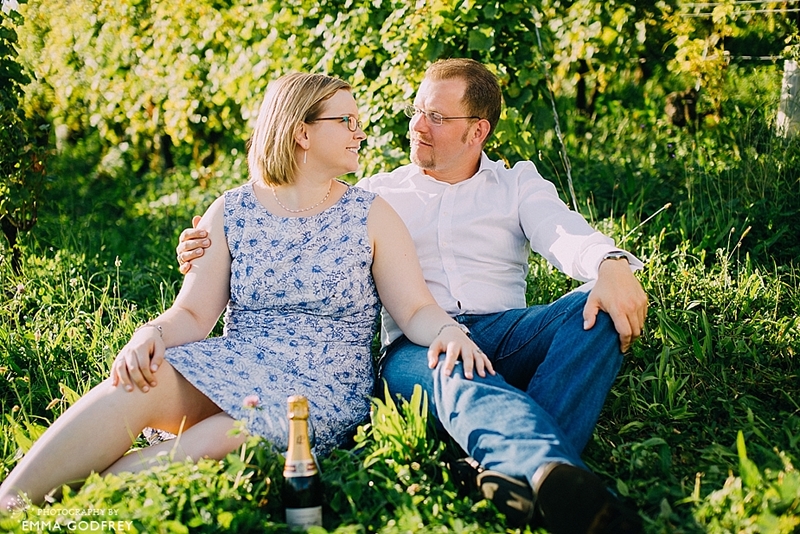 As the sun lowered in the sky we ventured higher up into the terraces of vineyards to pop a celebratory bottle of champagne and admire the view as Sebastian talked us through the different varieties of grapes. With his extensive knowledge and event organising experience I and sure that their 2015 wedding at the Kempinski Geneva will be a perfectly coordinated sommelier’s dream! Fancy a summer e-session or couple’s portrait photo shoot as a Christmas gift to your other half, to celebrate an anniversary, because you didn’t have enough time on your wedding day or just because - get in touch to find out more.